COPD is the third-leading cause of death among Americans, making it hard to control. Unfortunately, it is also a disease that is widespread: nearly 13 million adults in the United States have COPD, and almost 24 million have some evidence of lung problems that could be related to COPD. Coping with COPD through exercise can be difficult, since the ailment can make you feel out of breath quicker. 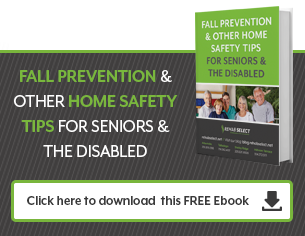 Combine that with the fact that many seniors have a tendency to stop exercising as they age anyway, and it may be challenging to muster up the energy to work out for elderly people inflicted with the condition. However exercise, particularly of the aerobic kind, has many benefits for people with COPD. The Cleveland Clinic says that exercise can help people with the condition by reducing the severity of their symptoms, improving circulation, and strengthening the heart. You may not immediately see the ties, but having a good diet can be very essential for coping with COPD. Not only does treating COPD with nutritional therapy allow seniors to reduce their weight, which eases stress on the cardiovascular system, it also provides the nutrients needed for COPD patients. This is important, since breathing with COPD requires more energy than breathing does for the average person. Improving the diet has many other benefits for senior citizens as well. You may be wondering how social interaction can help with COPD. What many people don’t realize is that a large part of coping with COPD is mental. Many patients get depressed about how COPD limits their activity, which in turn makes them more inactive and can cause their COPD symptoms to worsen. Some older people also have a tendency to withdraw from society, especially if they live alone and away from their family members and friends. Socializing, especially with those who also have COPD, can help you improve your mental outlook on the situation and make it easier to deal with this disease. By sharing experiences with other people that have COPD, you can make all aspects of dealing with COPD easier so that you can do what is necessary to improve your life. Breathing is one of the biggest challenges for people with COPD. Fortunately, there are several techniques that can be employed to help you improve your breathing. 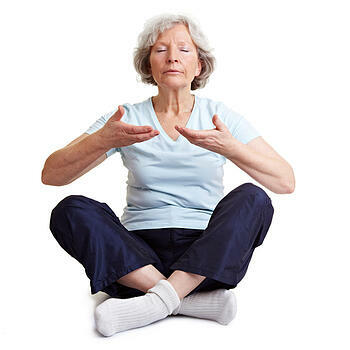 The COPD Foundation outlines several breathing techniques including diaphragmatic breathing and pursed lips breathing, which will help people with COPD take in more air and use less energy in the breathing process. It is true that COPD is a tough ailment to cope with, but it does not have to be a sentence to a life of inactivity and unhappiness. No matter how old you are, it is possible to minimize the impacts of COPD so that you can live an active, fulfilling life.